Arizona Congressmen Raul Grijalva (AZ-3) plans to announce his endorsement of Vermont Senator Bernie Sanders for President on Friday, when the two men appear together at a Tucson rally. Grijalva is co-chair of the House Progressive Caucus along with Minnesota Congressman Keith Ellison (MN-5). Grijalva is also a member of the Congressional Hispanic Caucus. He represents Arizona’s 3rd Congressional District which spans much of the Arizona-Mexico border and extends into the South and West portions of Tucson. 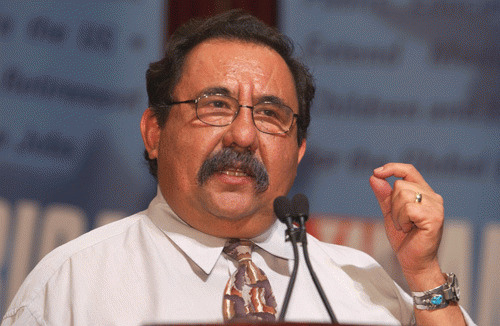 Congressman Grijalva has one of the most consistently progressive voting records in the U.S. House.